Stacie White was born in Arlington, Texas. She graduated from Florida A&M University with a B.S. in Education and from Florida State University with a M.S. in Sports Administration. She received her J.D. in 2008 from Texas Southern University. 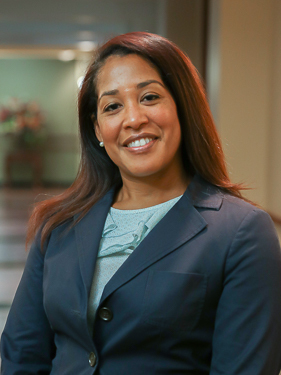 Prior to joining TOASE, Stacie worked as a municipal prosecutor with the City of Dallas with experience in code compliance and as Assistant Attorney General with the Texas Attorney General. She currently serves as municipal court prosecutor for the City of Euless, Mansfield, and is co-prosecutor for the Town of Flower Mound.